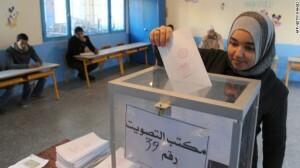 Some Moroccan parties support the idea of requiring citizens to vote. In 2011, just 45.4% of registered voters actually appeared at polling centres to cast a ballot. Socialist Union of Popular Forces (USFP) chief Driss Lachguer on August 4th said that Morocco needed to introduce compulsory voting. He even suggested imposing a financial penalty of 500 dirhams on anyone who failed to comply. Not all parties back the idea. The leader of the Party of Justice and Development (PJD) group in the Chamber of Representatives, Abdellah Bouanou, suggested instead that registration be mandatory. According to Bouanou, voting is a freedom and citizens cannot be forced to participate in the poll under any circumstances.